As a member of HYO Wine Club we will send you a topic with recommended wines for you to try each month. When you try the wines please tell us what you think on Twitter using @HYOwineclub and #HYOwineclub, or on the PrincessAndThePinot Facebook Page. Most of the wines will be available on the high street, but some come from independent stores or winemakers. You can try the wines in the comfort of your own home at your leisure, or we can help you to Host Your Own wine club. We suggest getting a few friends together once a month. A good number would be 6-12 people, but of course you can make it as small or large as you like. You can start with friends and family, and expand to friends of friends, and you can even set up an official club or society if you get enough interest. Hosting your own wine club with friends is a good place to start, so people feel they can ask “stupid” questions. Find a comfortable setting, such as your own home, or perhaps your local pub or village hall has a room you can hire if everyone is willing to chip in? HYO Wine Club will recommend wines in a theme each month for you to try. These will mostly be available on the high street and we will tell you where to buy and how much for. If you can’t get hold of the wines we recommend, you can ask us to suggest some alternatives, or ask in your local wine store for a substitute. We usually find that each bottle of wine will go round 10-12 people, so long as only a tasting amount is poured into each glass. If the theme is a country you could bring food and play music to reflect that theme. them. If everyone brings their own glasses it will save the host a lot of washing up! Of course not everyone will have tasting glasses, so normal glasses are fine too. And not everyone might want to bring six, but that’s fine, but we still suggest at least two per person, so you can make comparisons between the wines. You should make sure there are jugs of water and water glasses available for everyone, and having breadsticks or crackers will help to cleanse the palate. I doubt anyone will want to spit the wine out at a casual tasting, but maybe have a spittoon or a couple of mugs to hand just in case. Make sure the white wines have been chilled, or use a cooling sleeve or ice bucket to chill them. 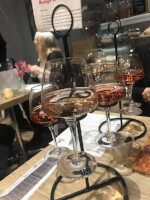 As you try the wines everyone should be given the opportunity to contribute during the session and add any facts they have learned about the theme or the wines from their local retailer, online research, or personal experiences. Adding stories always help to bring more enjoyment to tasting wine. 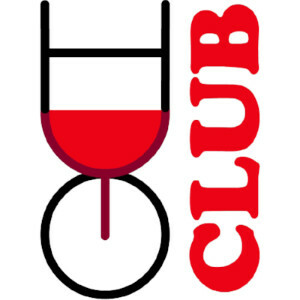 We hope you and your Club members will let us know what you thought of the wines using @HYOwineclub and #HYOwineclub. We would also love to know if your Club had a favourite wine of the month!